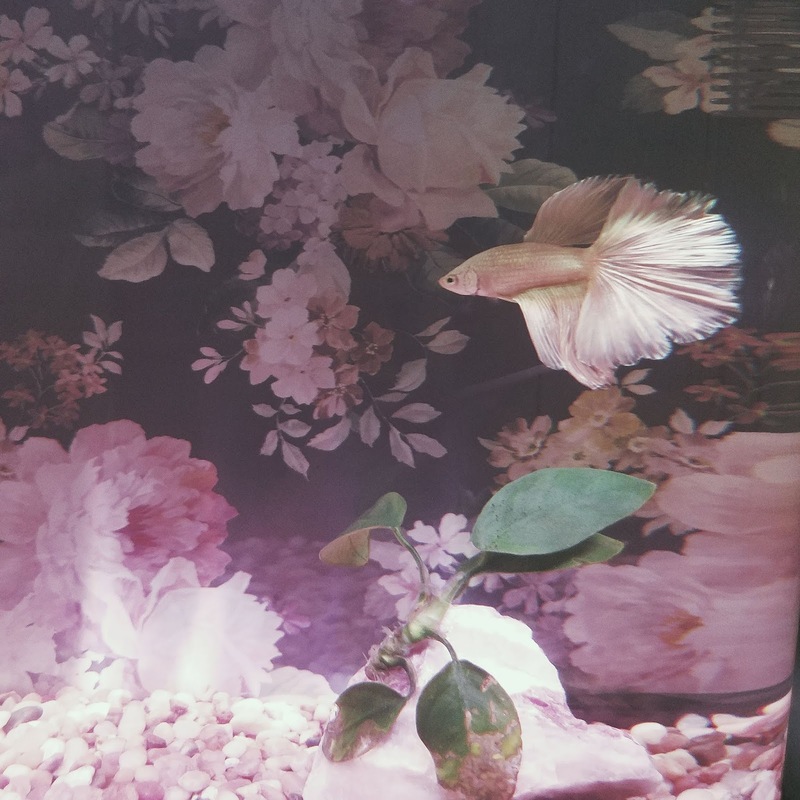 Luna decided that she wanted to spruce things up in her new apartment (we bought her a fancy tank with a filer instead of her fishbowl), so we taped some pretty wrapping paper to the back. Voila! Instant wallpaper!